The 250 Ton Elevator / Spiders are for pipe sizes 7 5/8” - 2 3/8”, using 4 segment slips sets. 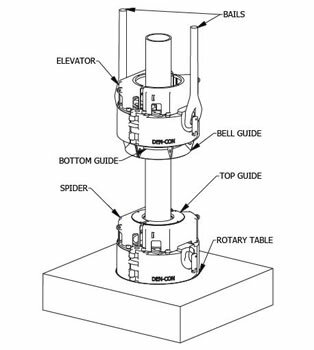 All Den-Con Elevator / Spiders are designed for pneumatic operation using rig air supply. All Elevator / Spider units are manufactured and tested according to the latest industry standards.